Warmer weather is on its way, so prepare to enjoy it with a new air conditioning unit. Keeping your home cool is important as the outside temperature climbs; it helps keep you and your family comfortable. Use spring to get ready for the hot weather of summer with Calgary AC installation. The most obvious benefit of Calgary air conditioning is that it keeps your home cool and comfortable. As the weather heats up, the temperature inside your home stays comfortable with air conditioning. This makes things more pleasant during the day and can help you sleep better at night. Another reason to consider Calgary AC installation is that it helps control humidity levels in your home. Air conditioners reduce the amount of humidity in the air, making it feel more comfortable. This is particularly important in areas with high humidity and helps protect your home and furnishings from the negative effects of damp air. Calgary air conditioning units produce little noise; you may not even know when it’s running. Compared to a window AC unit or a table fan, they create a more comfortable environment with much less noise. If you already have an air conditioner unit that’s in good condition, spring is a great time for annual Calgary air conditioning repair and maintenance. Scheduling Calgary air conditioning repair in the spring gives your unit a tune up after sitting idle during the winter and prepares it for the heavy use of the summer months. This helps it run efficiently and avoid those untimely breakdowns. Air conditioners help keep your home cool, comfortable, and quiet during heat of summer. 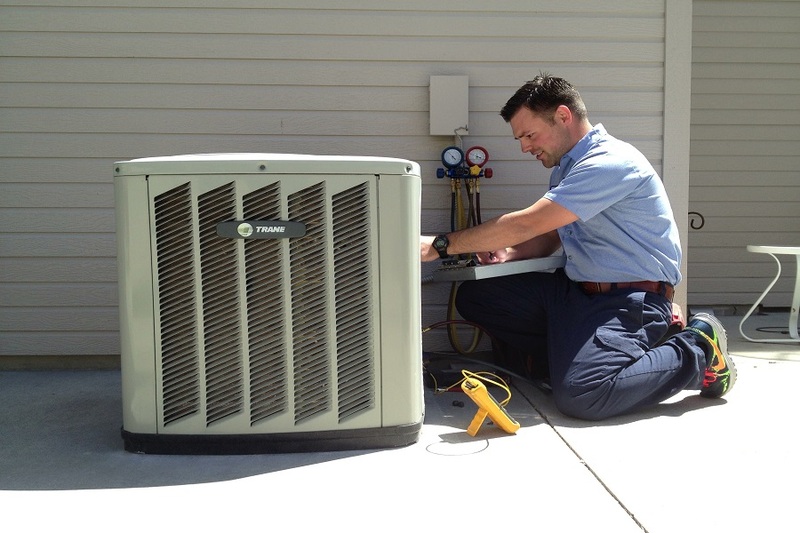 Get ready for warmer weather with air conditioner installation or maintenance. Stay cool in Calgary’s hot dry summers. Horizon Heating is your go-to company for all of your heating and cooling needs. Horizon Heating Ltd. has been providing quality and affordable heating, air conditioning, and indoor air quality solutions to Albertans since 1988. If you have any questions or comments about installations or repairs for your furnace, we are here to help. Speak to one of our experts today.